Well, it’s time to importune you to send me some good wildlife photos. The drill is that I’d like no more than ten photos, please identify all organisms with the Latin binomial scientific name if you can, and send good photos! Thanks. 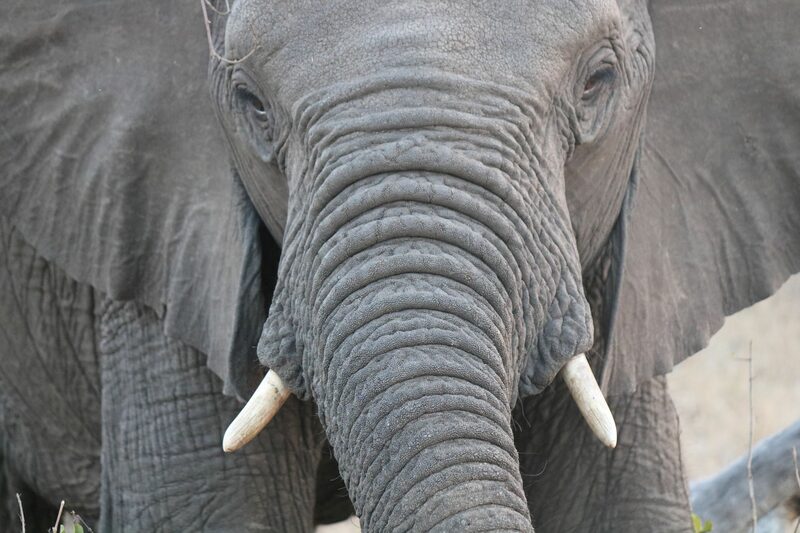 Reader Rachel Wilmoth sent some photos from Africa; her captions are indented. Readers are invited to fill in the eagle and the giraffe subspecies (I do not recognize the existence of more than one species of giraffe!). Here are some wildlife photos from a trip my boyfriend and I took to Kruger National Park in October. 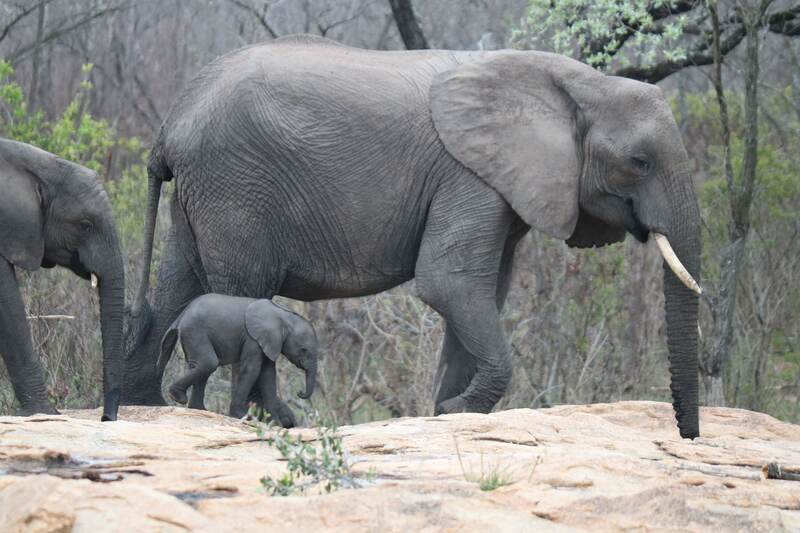 First up are some elephant (Loxodanta africana) photos, including an extreme closeup and a calf with its mother. 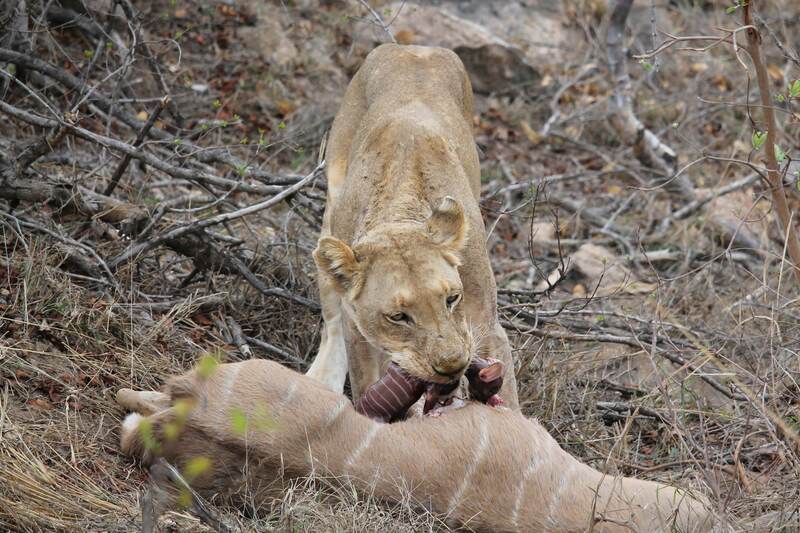 Next are some shots of a lioness (Panthera leo) eating a freshly-killed pregnant Greater Kudu (Tragelaphus strepsiceros). This was a once-in-a-lifetime sight and we were very lucky to capture it. 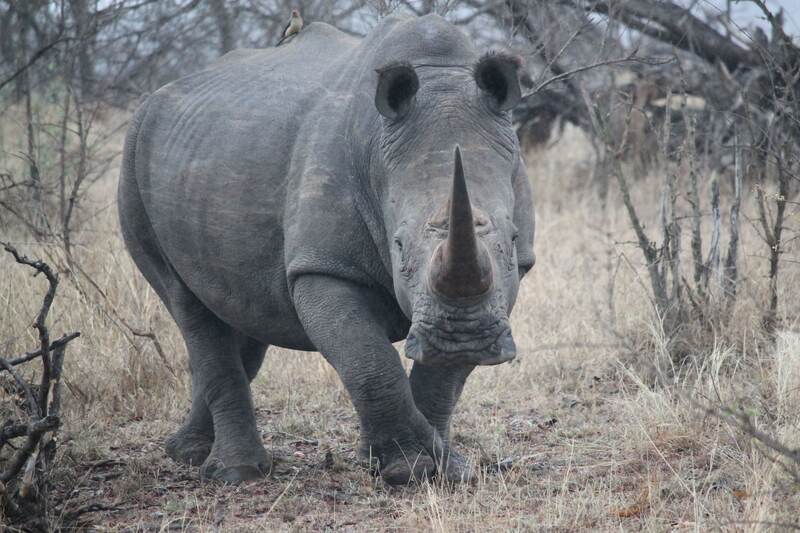 And a white rhinoceros (Ceratotherium simum) (up close you can see that they’re built like a tank). 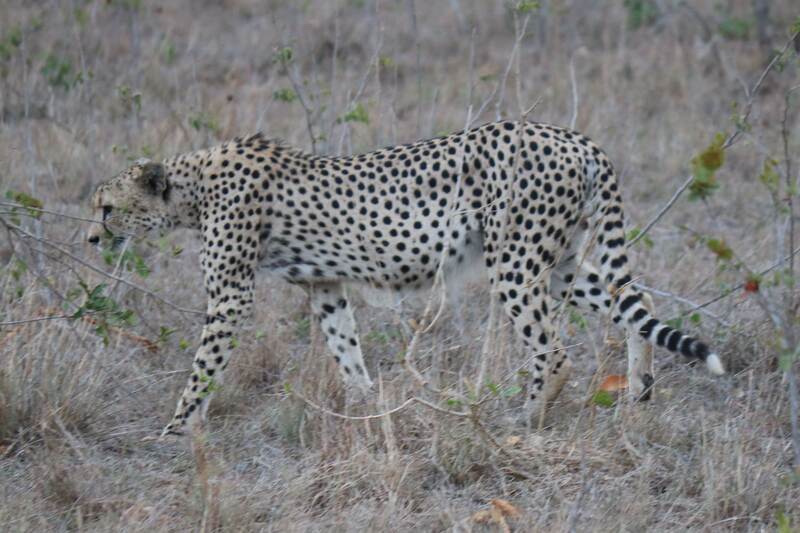 A female leopard (Panthera pardus). A species of eagle, although again, I’m unsure of the species. 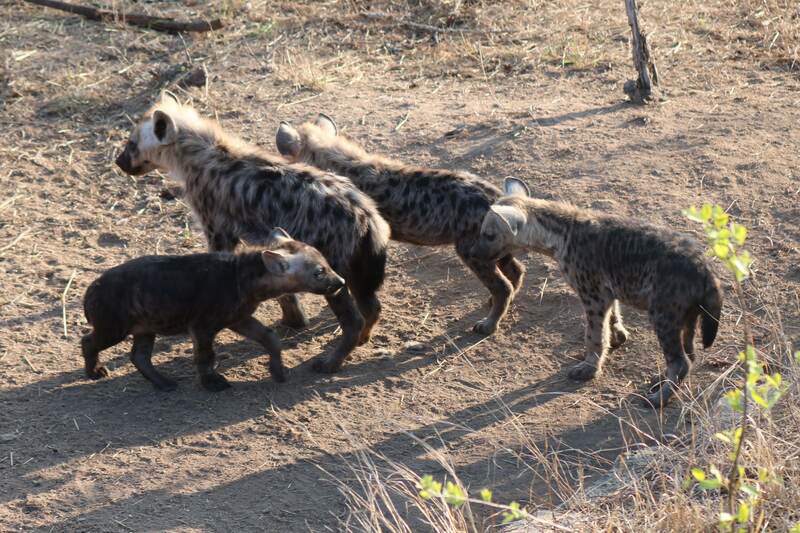 And finally, a group of spotted hyena (Crocuta crocuta) cubs. Also, if you and/or your readers are interested, more photos of the trip can be found here. The URL also includes snorkeling and diving photos of the coast of Mozambique. This entry was written by whyevolutionistrue and posted on December 23, 2018 at 7:45 am and filed under birds, mammals, photography. Bookmark the permalink. Follow any comments here with the RSS feed for this post. Both comments and trackbacks are currently closed. And I finally get what “good photos “ means- it means the picture itself has to technically be clearly visible, the colors can’t be smeared, etc. Thank you for identifying. I’m okay with my mammals but not so much with birds. Google is great for that. 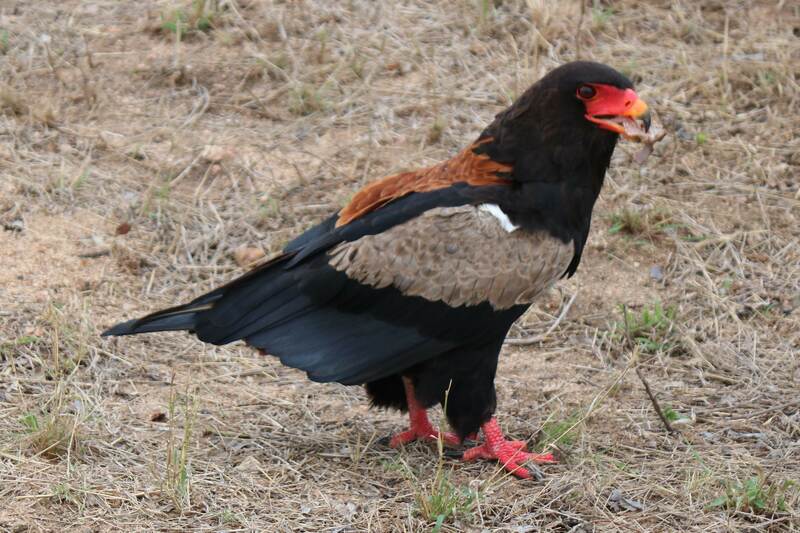 I searched for an African eagle with red feet and beak and found it. It would be Giraffa camelopardalis, but we gotta work on the subspecies. Yup. 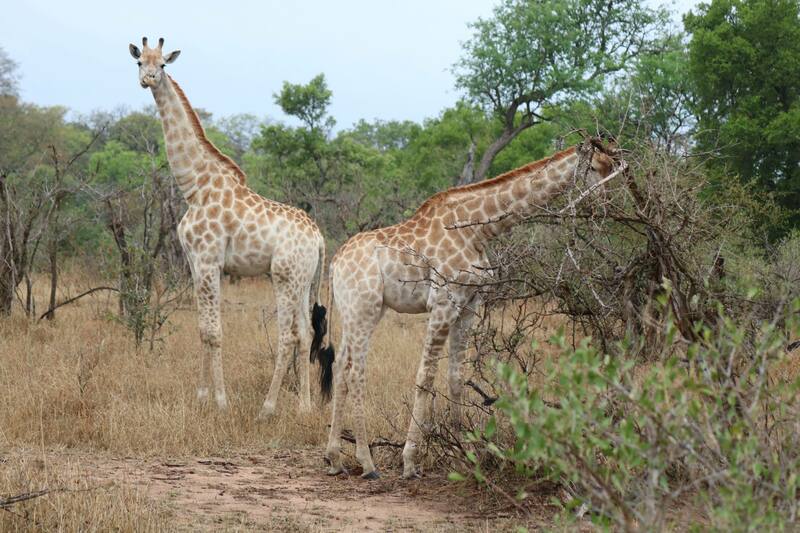 According to Wikipedia, the range of the South African giraffe and the area of Kruger National Park overlap quite nicely. All great shots. My picture of the day would be the lion. The lion kill (along with the impromptu kudu anatomy lesson) was the highlight of the trip. 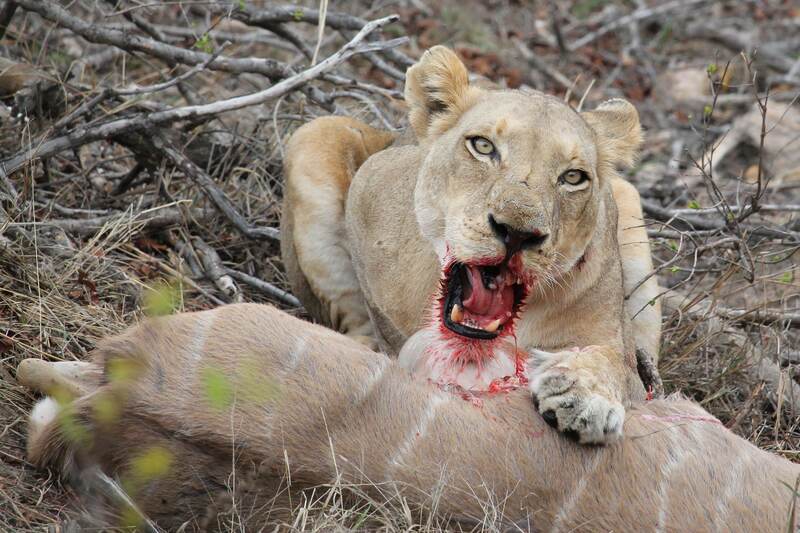 Seeing that lioness tear apart the carcass really drove home just how powerful those cats are. The nature documentaries simply can’t convey the power behind those jaws, teeth, and claws. One reason documentaries don’t do the power justice is – they’re aware there are kiddies and other sensitive eyes watching. I really enjoyed this post. The other photos of the trip are amazing also. Thanks! I’m very envious of the rhino. The best we’ve done in two trips were a sad individual in a pen (for it’s own protection) and with horn removed and a distant blob that our guides insisted was a rhino. All animals in this collection exude power with the exception of the one being eaten and the mother of said “being eaten” The baby elephant probably has the strength of 4 of me. The horn of the rhino caught my eye though, what a appendage!